Homemade Christmas Lollipops - Fork and Good. So here are the official rules for when you can start talking about Christmas. If you're a scrooge: Christmas Day. Maybe Christmas Eve. Maybe Never. If you're a lover of the festive period: Pretty much as soon as it hits October. If your birthday is in December: After your Birthday. Even if your birthday is the 24th. If you're a shop/company/supermarket: Pretty much as soon as July hits. If you're a little obsessed: People usually set you a date when it's acceptable to start talking about it because you are constantly counting down to Christmas / getting excited. I fall into the latter category, as I LOVE Christmas. My family set me the date of Bonfire night (5th November) until I could start getting excited and talking about it, but I've got American friends who had to wait until after Thanksgiving. I don't really know what that is, but if Friends taught me anything, it's that you watch Football and eat a roast dinner, so apparently Thanksgiving is pretty much celebrated every Sunday in my house. I can't put my Christmas Decorations yet, as we're still doing up our house (don't mean to brag but there's a bath in my living room) but I do start planning my Christmas Gifts around now. Usually because I make them. This year is no different, a homemade edible gift, is the nicest thing I think you can receive. First of all - If someone got me something for Christmas that involved them washing up, I know they love me. Second of all - You get food. Homemade food. Finally - You have no piles of useless stuff clogging up your house for weeks after. 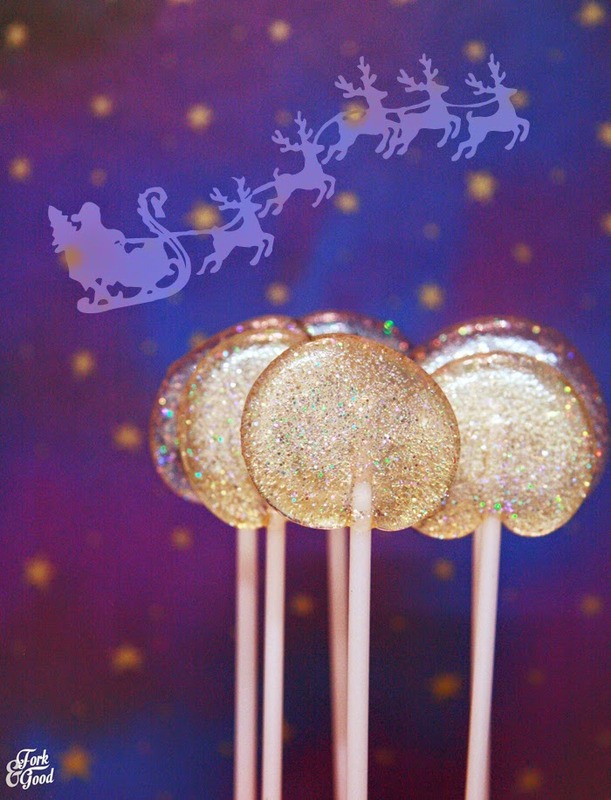 Why not these lush little christmas lollipops? -They only have three ingredients. -They take less than half an hour to make. -They taste like candy canes. -Everyone will be impressed with your sugar crafting skills, and will probably make you their best friend. You're probably thinking you need a lot of expensive equipment for these, but actually, you only need one specialist bit of kit - A sugar thermometer. You can pick one up for about £4, and it's handy as anything to have. NOTE: Working with hot sugar can be dangerous! You can still be a badass AND take steps to insure you are safe. I wouldn't recommend making this with children. Before you start, you will need to set up your lollipop making station. Having everything ready is VITAL to making this an easy process and stop you getting burnt. - You will need to set up a cold bowl of water (ice cold), big enough to submerge the bottom of your saucepan. - Have your peppermint extract and edible glitter next to the bowl, ready to use. 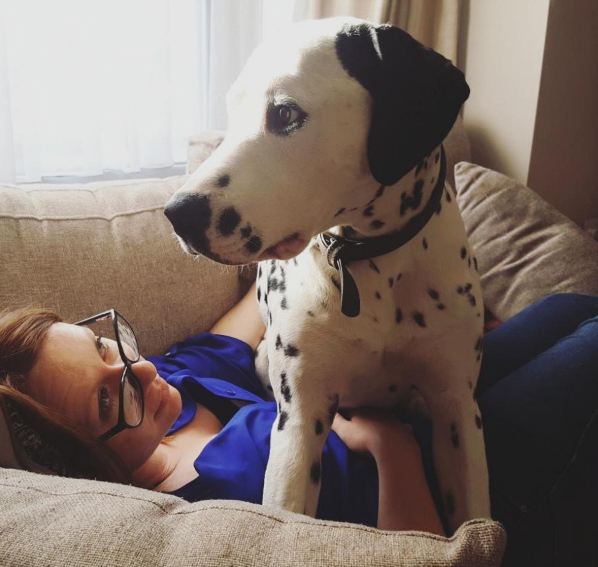 - You will also need to set up a sheet of baking parchment or a baking sheet (and put that onto something heatproof like a heatproof chopping board of baking tray). 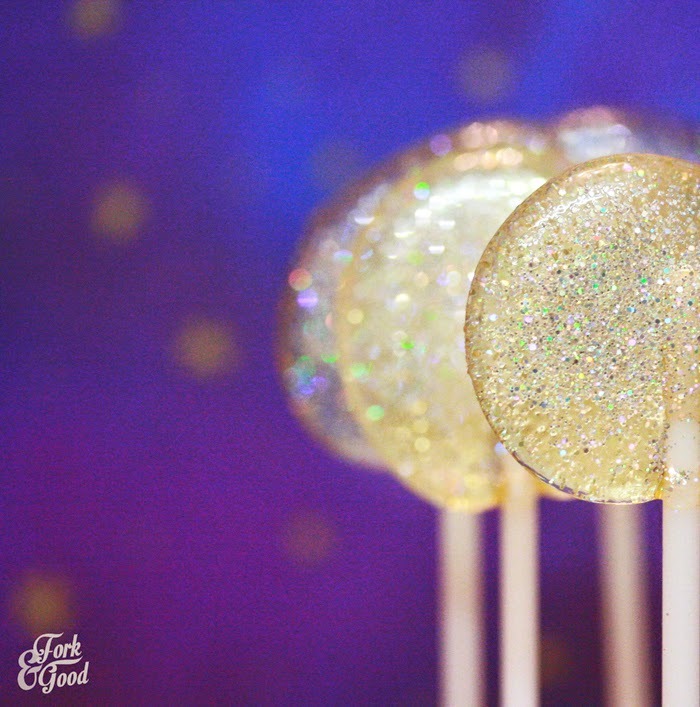 Sprinkle a small amount of edible glitter onto the sheet under the lollipop sticks. - Set out your lollipop sticks ready to pour your sugar onto. You won't have time to do this once you start cooking. Now all that's done, let's get to making these bad boys! 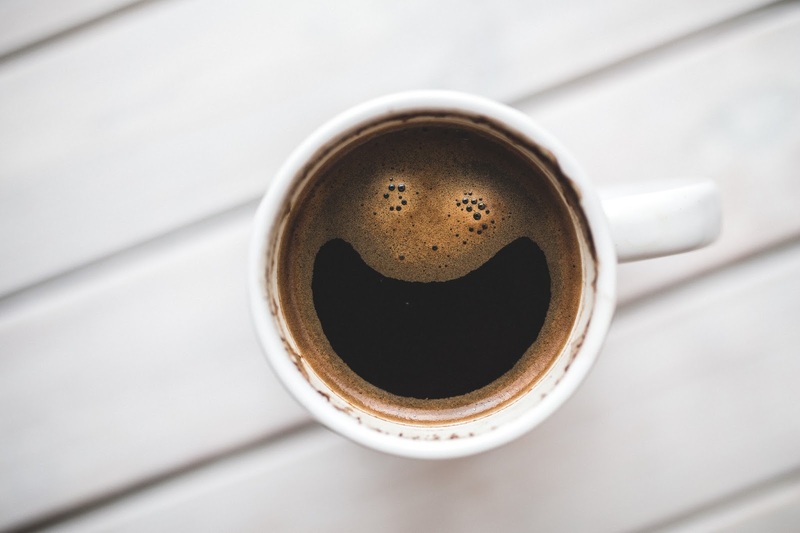 Put your liquid glucose, sugar and water into a pan and warm it up on a medium heat, mixing until all the sugar is dissolved. Whack up the heat to high, attach your sugar thermometer to the side and let it come to the boil. You shouldn't need to stir it during this. Using a brush dipped in water, wash down the sides of the pan to stop sugar crystals forming. Keep an eye on your mixture at all times. It should be bubbling on nicely. Watch the thermometer. Once it reaches 310ºF (hard crack stage) on there, remove it from the heat and submerge into the bowl of cold water. This stops it cooking. Keep stirring it for roughly 5-10 seconds as it cools. This is the time to add your extract and roughly 1/2 teaspoon of edible glitter. Stir it up until it's all combined. Head over to your lollipop making station. Slowly pour your sugar mixture onto the lollipop sticks. The slower you pour, the more control you will have over the shape. The mixture will harden quite quickly, if it becomes unmanageable, just heat it up until it softens slightly. 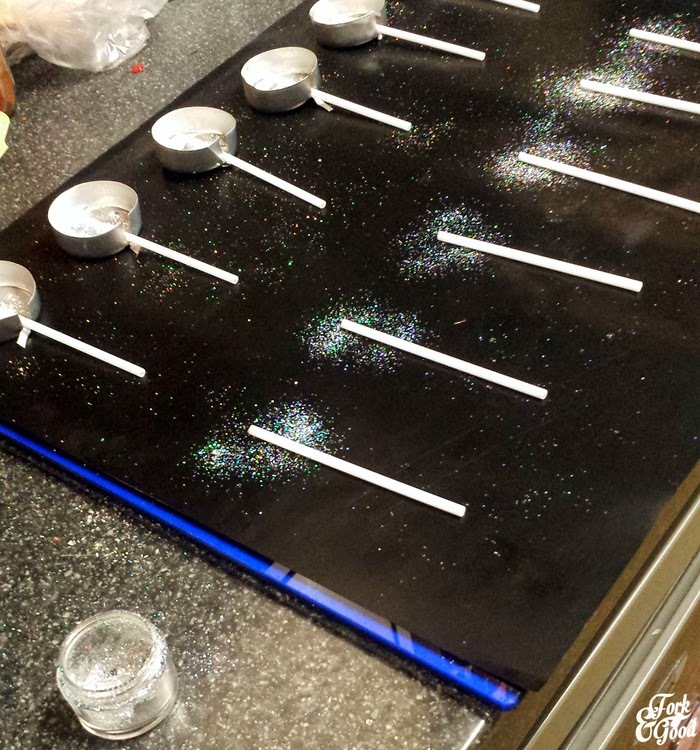 Before your creations set, grab your edible glitter and sprinkle more onto the tops. Leave to cool. After about 10-15 minutes, your lollipops should have hardened. I give mine and extra few minutes so they don't misshapen. They should gently peel off the sheet. If you used the tealight method, they take a little longer to cool, the foils should peel off as well. These were my 4th attempt at freestyle pouring (it takes a bit of practice) but nothing says 'home made' more than a slightly wonky lollipop. The different layers of glitter should add the same sparkly effect as here, it really does look quite pretty. Well........I am sitting here replying to this dressed in a 'Christmas Pudding' jumper and the fairy lights are a-twinkling! Darn, I think I posted twice AGAIN!! Sorry!! I think homemade gifts are the BEST! 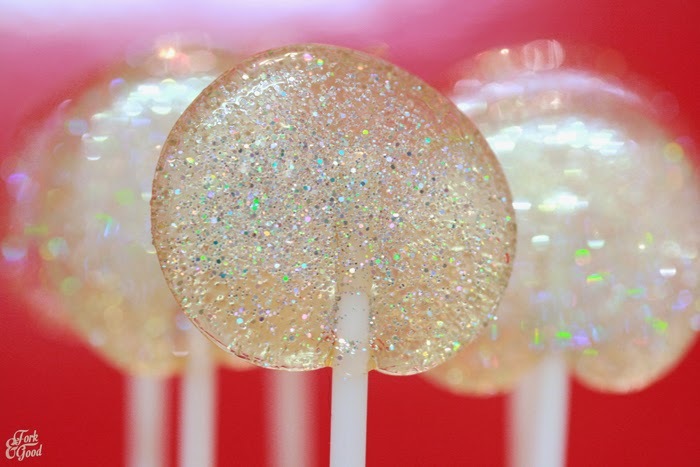 These lollipops are so adorable and festive with glitters, Emma. I would go for the free style. Haha I didn't even notice that, that's a bit awesome! OMG these are sooooooo soooo cute! Pinning for later! Also I hardly ever READ food blogs, but I do yours, I LOOOVE your writing! 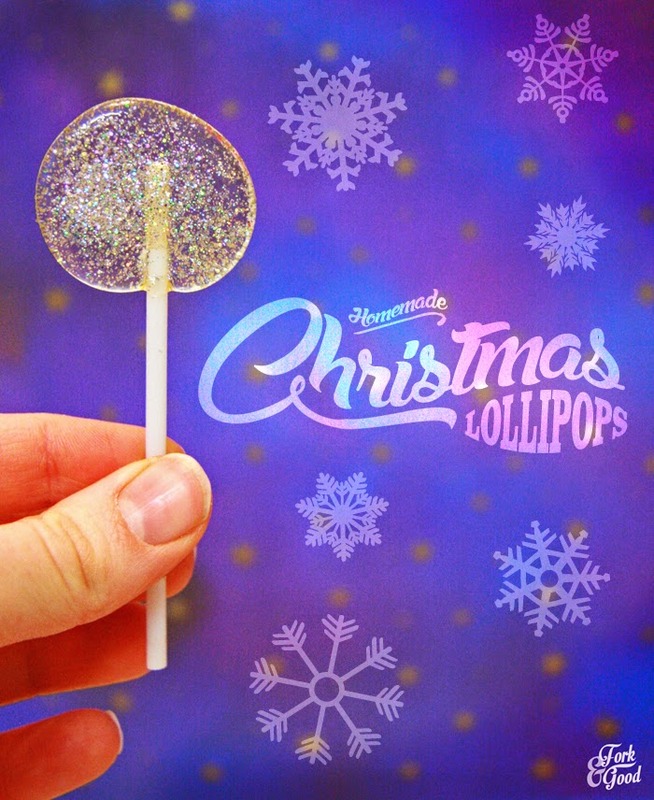 I think I am BEYOND obsessed with Christmas....and these lollipops are so so cute and Christmassy! These are so pretty! I love the edible glitter you used - so perfect for Christmas! Oh,I want to try this! It looks like fun! I love these and must make some! Christmas is a happy topic at my house, we love to talk about it! These look fantastic - my daughter would love them! It's just a shame I couldn't let her make them with me. That would be a real recipe for disaster! I love to get excited early for Christmas and having children is a really good excuse to let yourself and not feel guilty at all. These just made me smile! Am thinking of a couple of little girls who would love them. Could you just answer 2 questions - 1 is there any issue with edible glitter being a worry for mums with little children? and 2 would it be poss/easy to free pour the syrup then add glitter and free pour another layer syrup - so glitter in the middle instead of on an outer edge?